Present state: The up platform and its building are extant. The booking office is now an antiques shop called Junktion with larger items of architectural salvage in display on the down platform. A brick building has been built on the trackbed with the demolition of the west end of the down platform. The weigh office still stands at the entrance to the goods yard with the stationmaster's house in private occupation alongside the yard entrance. Notes: New Bolingbroke station was sited at the southern end of a long straggling village. The station had two brick faced platforms each with a brick built waiting room with a canopy. 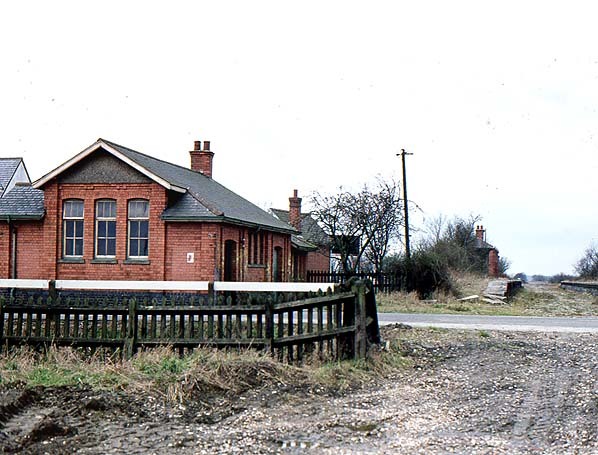 A single-storey red brick booking office stood adjacent to the level crossing on the up side of the line. It was similar in design to the others on the New Line and much larger that required for a station serving such a small community. 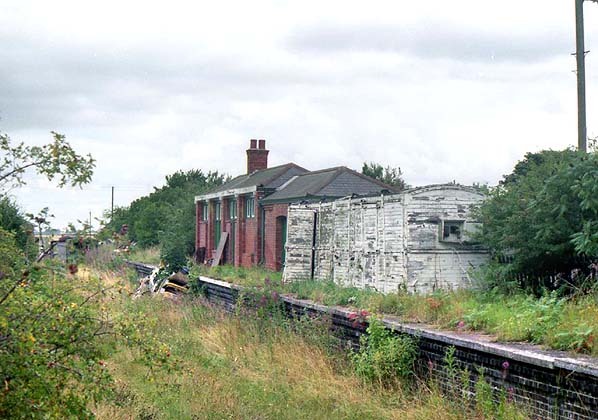 A typical GNR signalbox stood on the opposite side of the track; this controlled access to the level crossing and goods yard. The entrance to the yard was behind the booking office; a weigh office kust inside the entrance can still be seen today. A single short single siding ran behind the up platform into a loading dock. There was another siding east of the crossing which is not shown on the 1948 map below, so perhaps out of use by this date. The main products handled were cattle, corn and scrap metal from a local engineering firm which was transported to Lincoln. The stationmaster's house still stands on the far side of the entrance to the goods yards. The station was closed in 1915 as a wartime economy measure re-opening on 9th July 1923. 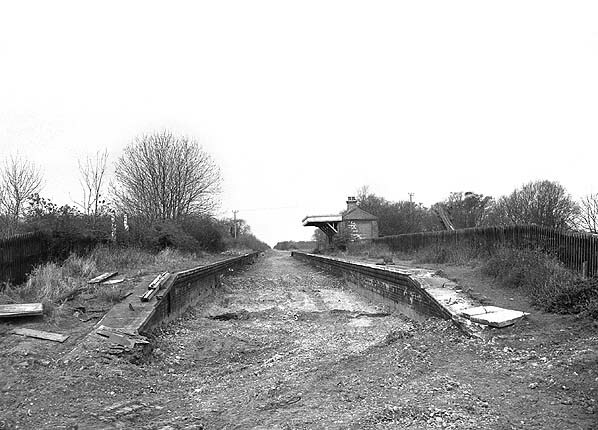 New Bolingbroke lost its goods facilities on 30th March 1964. 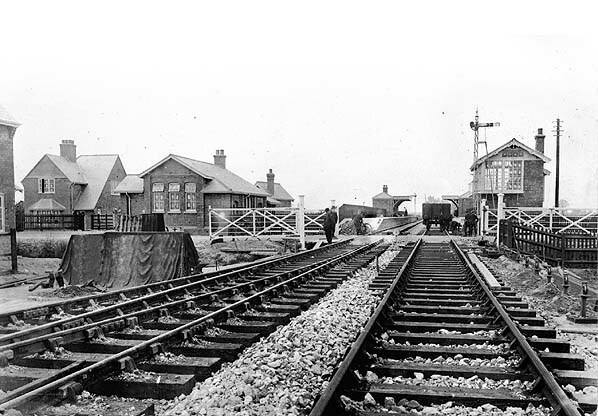 The station became unstaffed on 7th October, 1968 and final closure was on 5th October 1970. 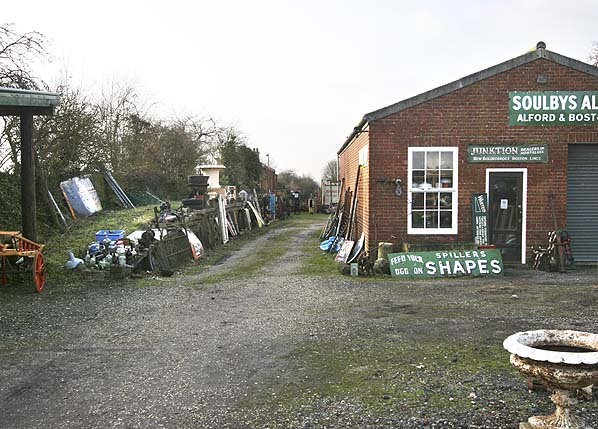 For many years and architectural salvage and antique shop called Junktion has run from the station with many of the larger items on display on the down platform. It is open 10am - 5pm Wednesday, Thursday and Saturday. 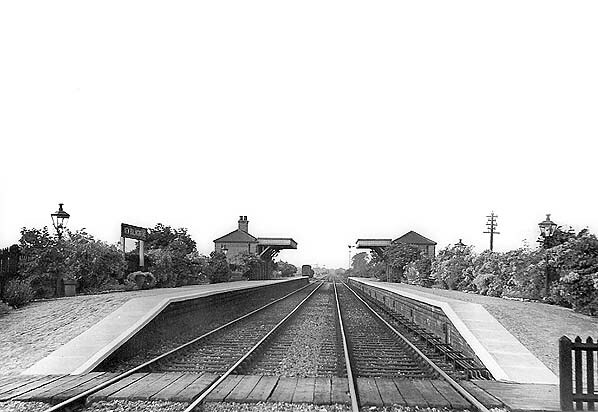 Looking east towards New Bolingbroke station in 1913. 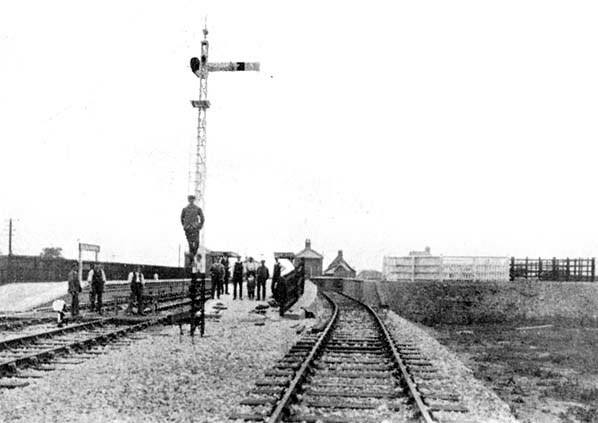 The booking office is seen to the left of the level crossing with the stationmaster's house to its left. The entrance to the goods yard is between the two buildings. A second goods siding can be seen in the foreground to the left. 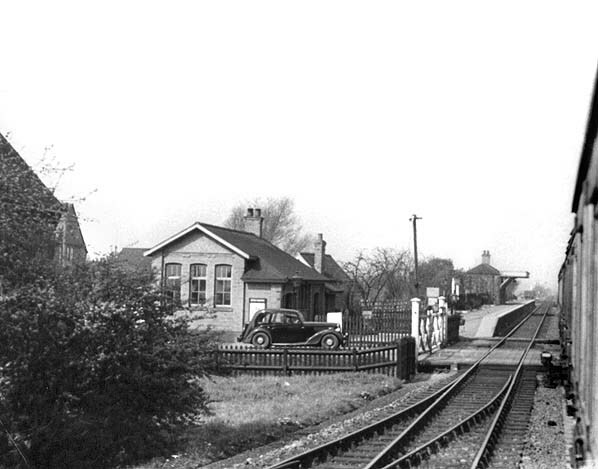 New Bolingbroke station looking east in 1939. New Bolingbroke station looking west in January 2010.